Herzogenaurach, Germany, 12th September 2018 - On September 20th, adidas will release AM4TKY, the latest in a series of high-performance running footwear produced in its digitally-driven and automated SPEEDFACTORY. To create a running shoe for the vast and varied Tokyo expanse, adidas recognized runners required a design with the agility and stability to tackle every unexpected corner and easily change direction at pace, regardless of underfoot terrain. 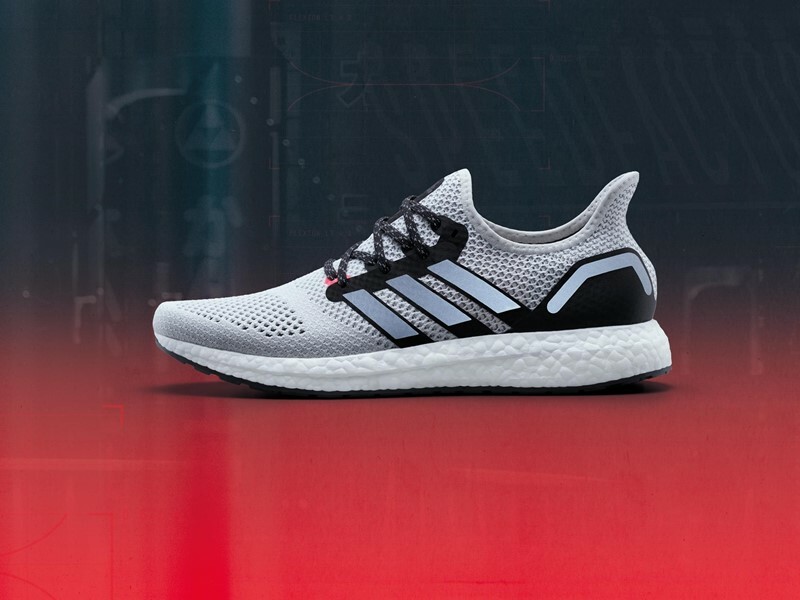 adidas analyzed years of sports science data on running movement and used it to design a highly tuned fit - brought to life with a connected eyestay, providing precise upper lockdown and support for abrupt turns, avoiding traffic and navigating the city. This upper design was verified by local runners and creators, including photographer Rui Hashimoto and Mao Mitsui (captain of MeCamp, a women's only training community), before being assembled at SPEEDFACTORY USA. Through a unique process of fit programming, flexible tension patches were digitally mapped onto the shoe upper, with the connected eyestay providing the stability required for movement in every direction. adidas’ iconic Torsion system redesigned and digitally embedded to “float” inside the sole without stiffness of adhesives. Precisely balancing flexibility with stability for best heel to toe transition. Precise digital bonding of sole to upper eliminates glue, giving you the most direct experience of BOOST comfort. BOOST is adidas’ most responsive cushioning ever: It gives the highest level of energy return in every step. AM4TKY goes on sale together with previous AM4 city series releases at adidas.com and select retailers from September 20, 2018. It will retail for 22,000 ¥ / 200 USD / 200 EUR. As a part of the launch, adidas is opening up a SPEEDFACTORY Lab Experience in Shinjuku at the Meiji Memorial Picture Gallery for the public get a glimpse of the future of creation with the brand and find out more about SPEEDFACTORY.